Future Maties have only a few days left to submit their applications for 2015. The deadline for academic applications and for accommodation in a university residence is 30 June 2014. Higher education can be expensive and prospective students are encouraged to apply as quickly as possible for the large number of bursaries and study loans available from the University. Apart from all the sport and recreational activities, the University offers a large variety of academic and non-academic societies varying from volunteering, dancing, hiking and debating to becoming a film fundi and caring for the environment. Via the Frederik van Zyl Slabbert Institute for Student Leadership Development students can hone their leadership skills and do accredited short courses on leadership. Stellenbosch University has an average first-year retention rate of above 84% compared to the national average of 50%. Visitwww.maties.com for more information on the various academic programmes and support services that will help ensure your success, for example, the First-year Academy, the Language Centre, mentors and tutors, specialised technological support and facilities, integrated learning and living spaces, Campus Health Services and the Centre for Student Counselling and Development. Stellenbosch offers parallel-medium classes (separate English and Afrikaans) and also uses educational interpreting to ensure that language does not become a barrier to your success. Assignments, oral presentations, tests and examinations may be completed in either English or Afrikaans. The fastest way to apply, is to do it online. Visit www.maties.com and click on “apply online”. You can also phone 021 808 9111 or send an email to [email protected] to receive a printed application form. Stellenbosch University is the only South African University offering tuition in forestry, laser physics, polymer sciences and viticulture and oenology (wine making). The University is regarded as a technologically smart institution. It has more than 80 Wi-Fi hot spots, 2500 computers in the various computer user areas across the cam­pus and all residence rooms have internet access. 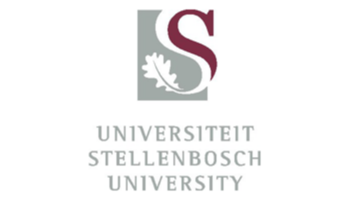 The University has 5 campuses – in Stellenbosch, Tygerberg, Bellville, Saldanha and Worcester. It is one of the top 4 research universities in South Africa and has the highest research output of all South African universities. Click here to visit the SU website.